"Good Design Award" and "iF Design Award"
Yamaha Corporation (hereafter "Yamaha") and Yamaha Motor Co., Ltd. (hereafter "Yamaha Motor") are proud to announce that the &Y01 electrically power-assisted wheelchair that performs music designed in collaboration by the two companies has received the internationally-prestigious "Red Dot Award: Design Concept." In addition to marking the third design award received by the &Y01 - following on from the "Good Design Award 2016" and "iF Design Award 2017" - this is the first receipt of the "Red Dot Award: Design Concept" by Yamaha or Yamaha Motor. The &Y01 evokes an image of a white yacht cutting through the waves as the sailor intends, and as a design concept model developed jointly by Yamaha and Yamaha Motor has been used at a variety of events and performances. 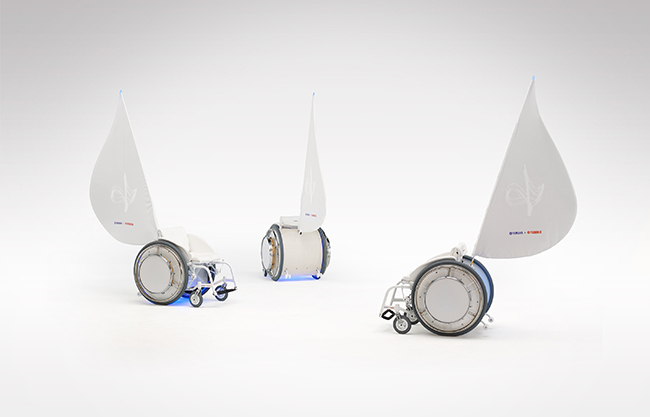 The light and nimble movement of Yamaha Motor's JW Swing electrically power-assisted wheelchair comes together with Yamaha's thin, light, and flexible TLF Speaker (which conveys images of a yacht’s sail and musical notes) and thin percussion instruments on both sides of the wheelchair, creating a new experience akin to "riding a musical instrument". The rider naturally becomes a performer, creating a sense of unity with the surroundings by making sound and music as they move. 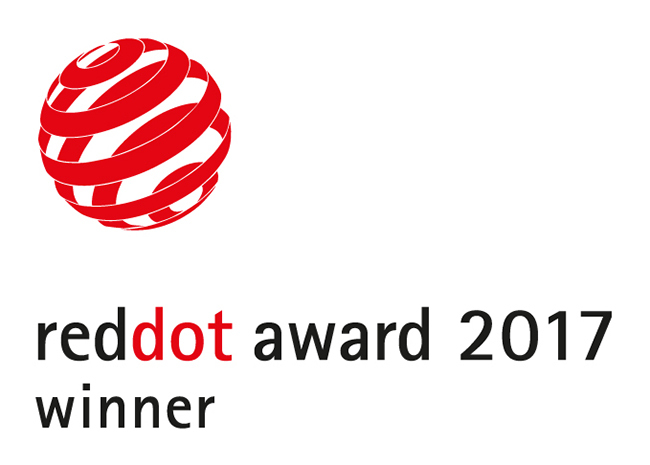 The Red Dot Design Awards, organized by Germany's Design Zentrum Nordrhein Westfalen, are widely recognized as one of the most prestigious design awards in the world. Products with designs of outstanding quality are selected each year in the three categories of Product Design, Communication Design, and Design Concept.